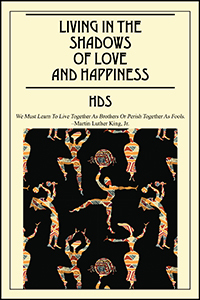 HDS’s “Living In The Shadows Of Love And Happiness.” “A bird doesn’t sing because it has an answer, it sings because it has a song!” -Maya Angelou, from the African Motherland to the Diaspora and beyond. Our children should grow up to become Kings and Queens all in a world that reviles them and envies their right to existence, with disdain. Woe to those who are in denial; we have something for them to reckon with, and try with all their might to “indoctrinate or destroy” only to fail, wholesale. Where do you stand?